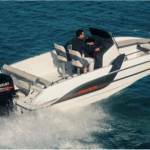 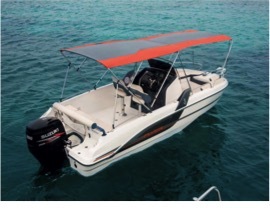 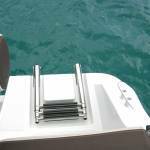 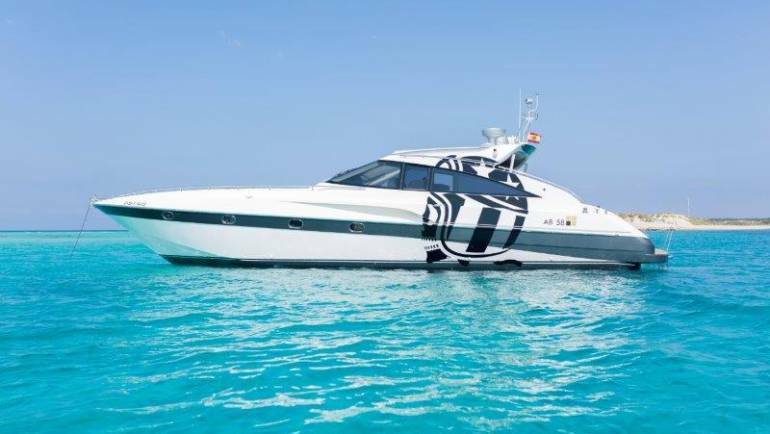 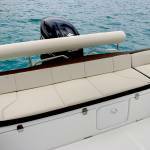 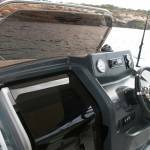 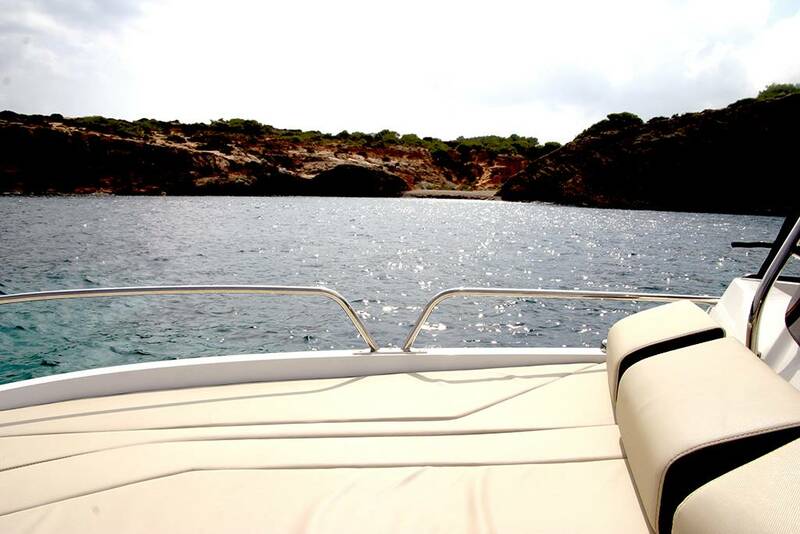 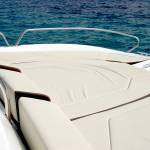 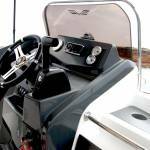 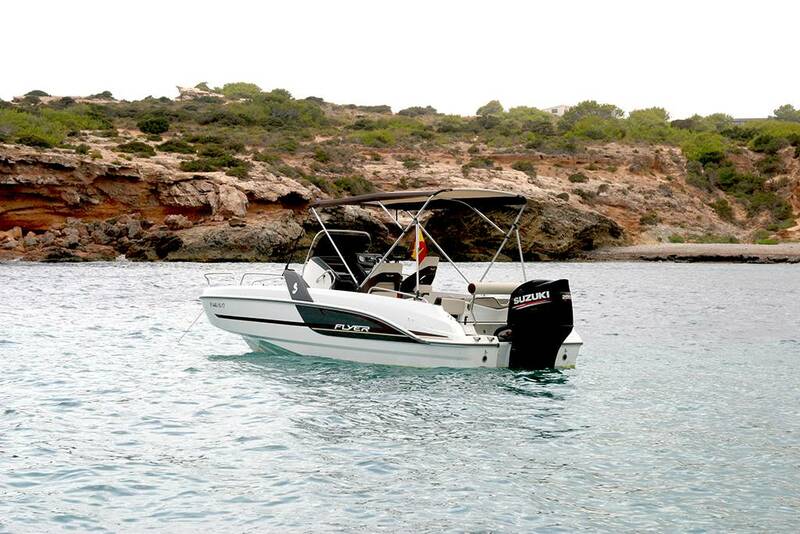 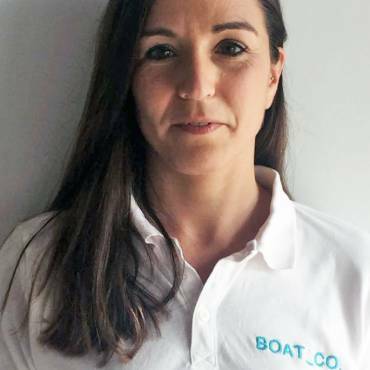 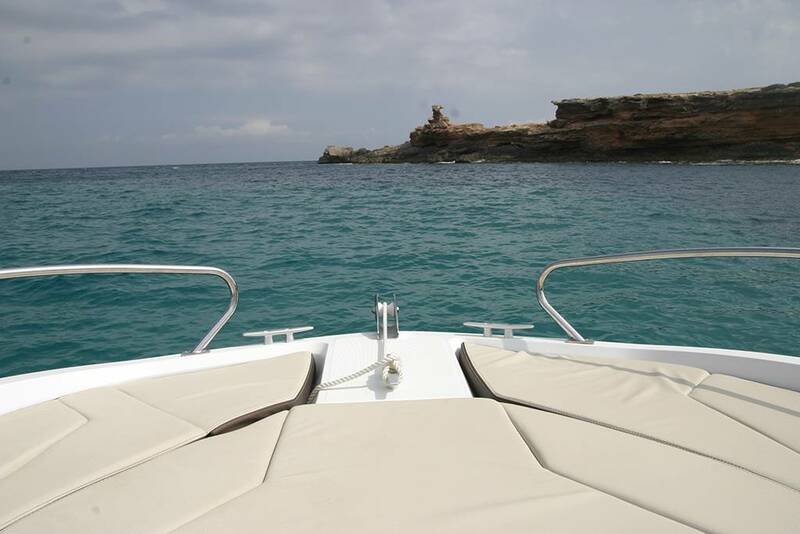 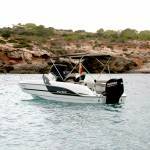 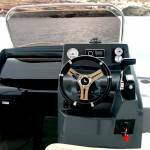 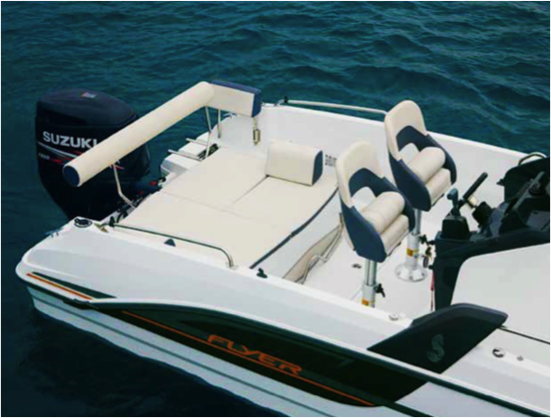 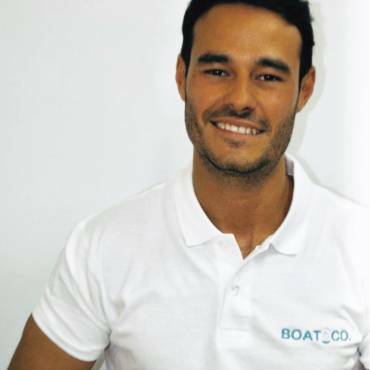 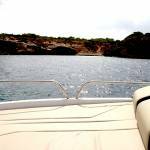 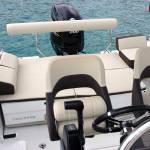 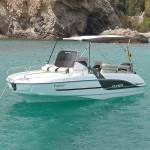 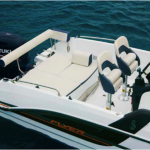 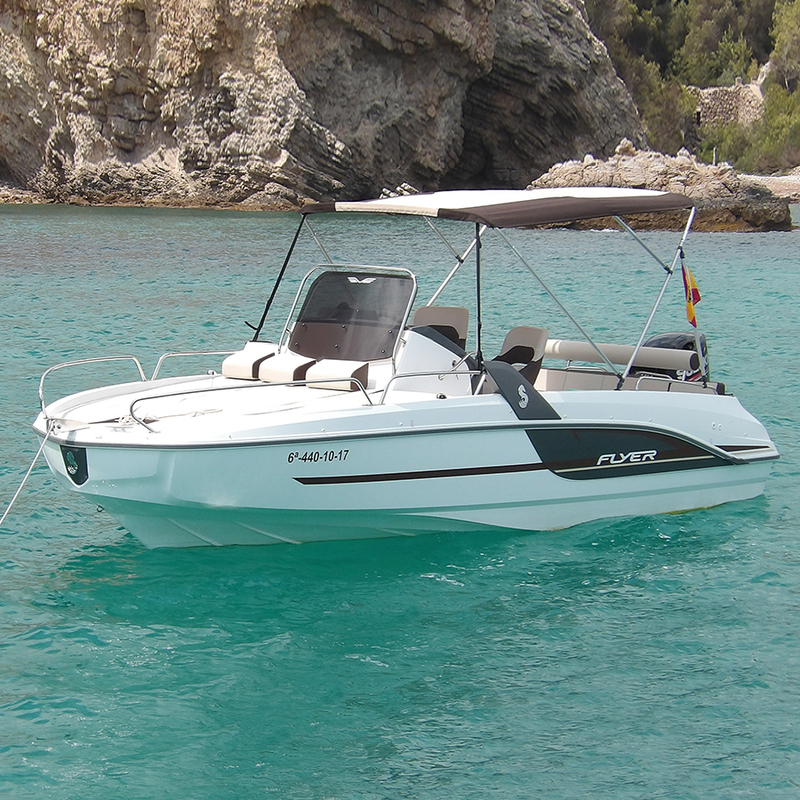 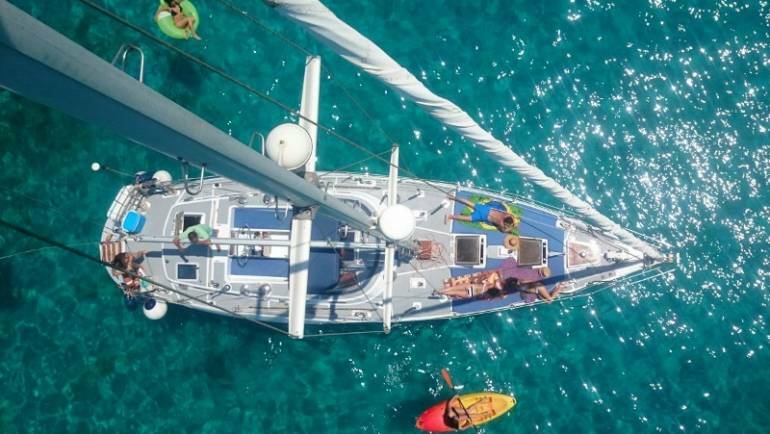 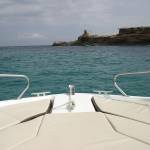 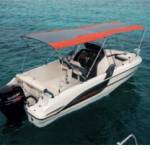 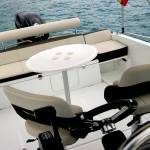 Beneteau Flyer 6.6 – Boat and CO. 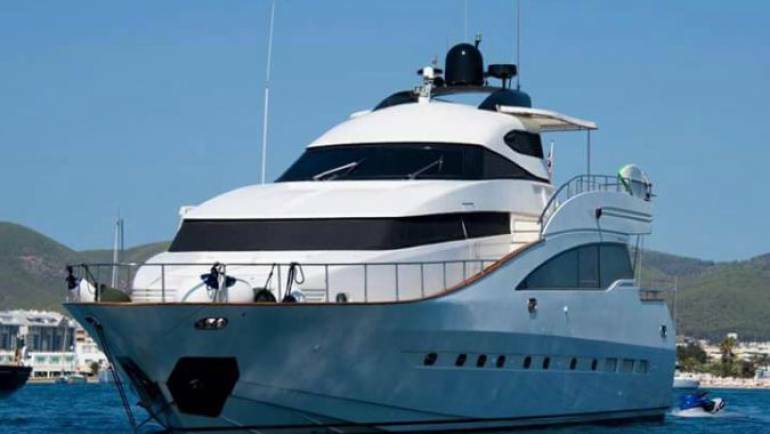 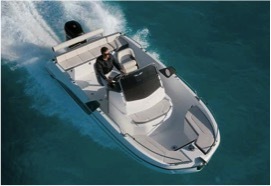 Unique for its size and spirit lounge, the extra-wide solarium to the bow is safe and comfortable. 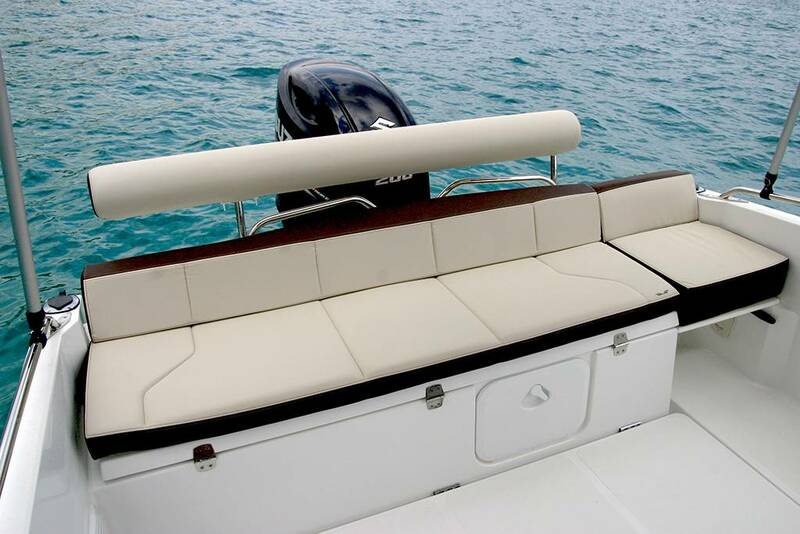 In the twinkling of an eye, the convertible rear seat offers, over all the width, a second solarium space. 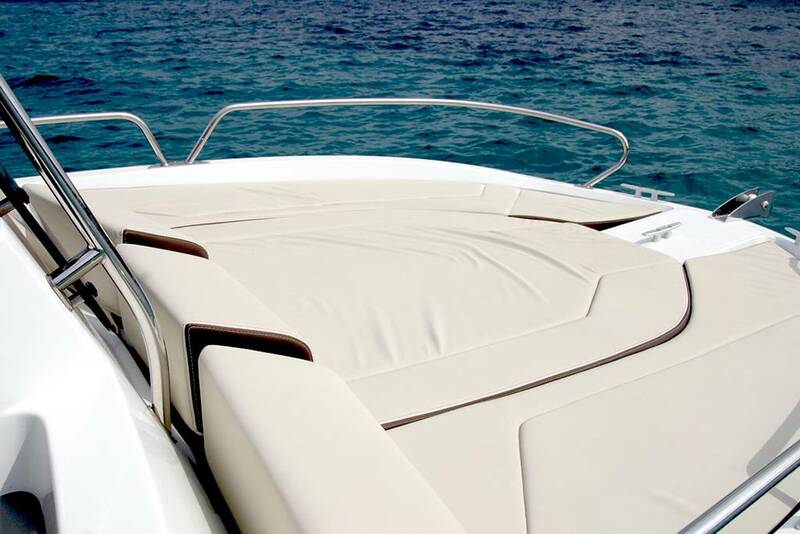 With a bathtub and a bow solarium with impressive dimensions, the Flyer 6.6 SUNdeck offers the sun more than 15m2 of surface. 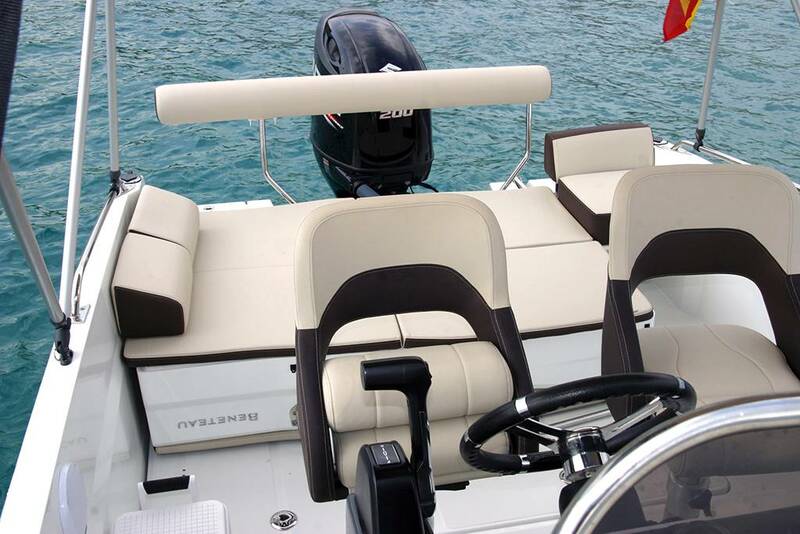 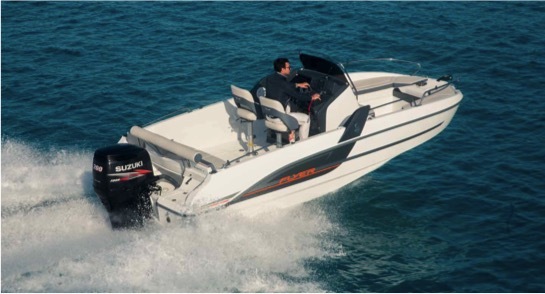 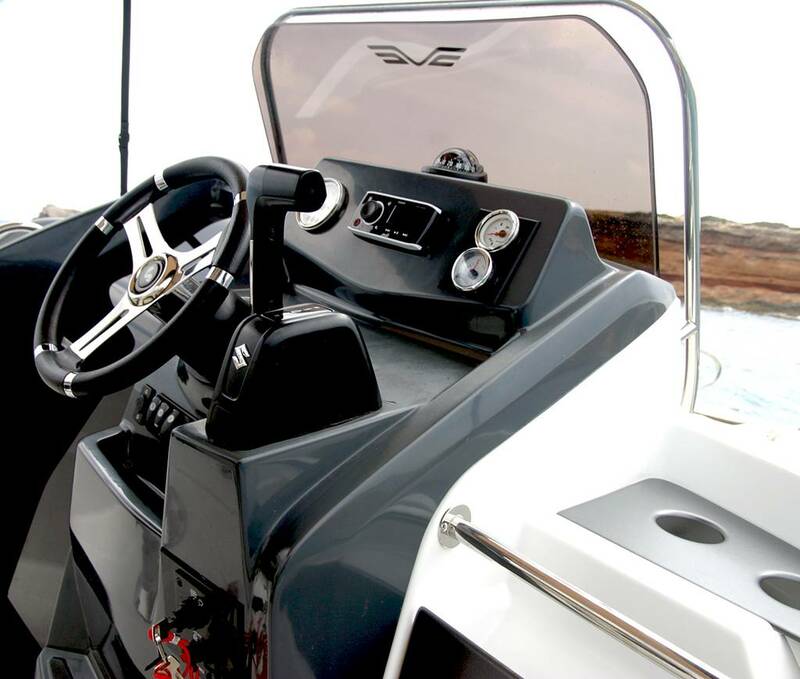 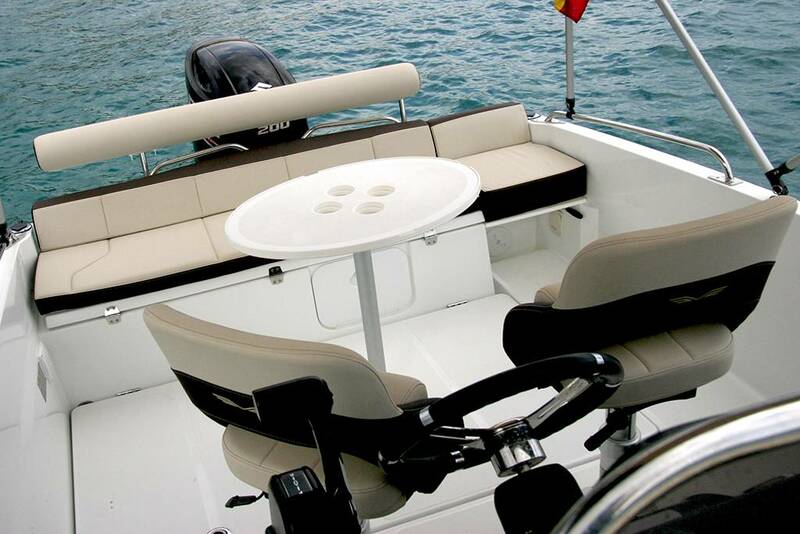 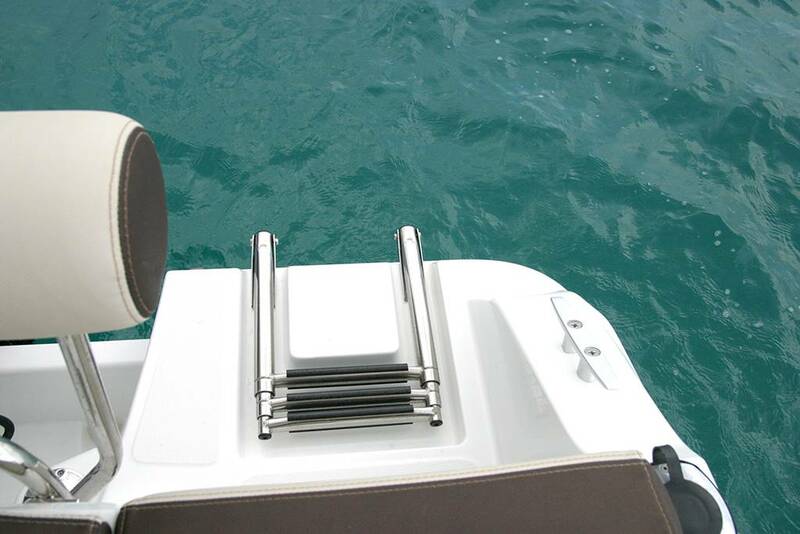 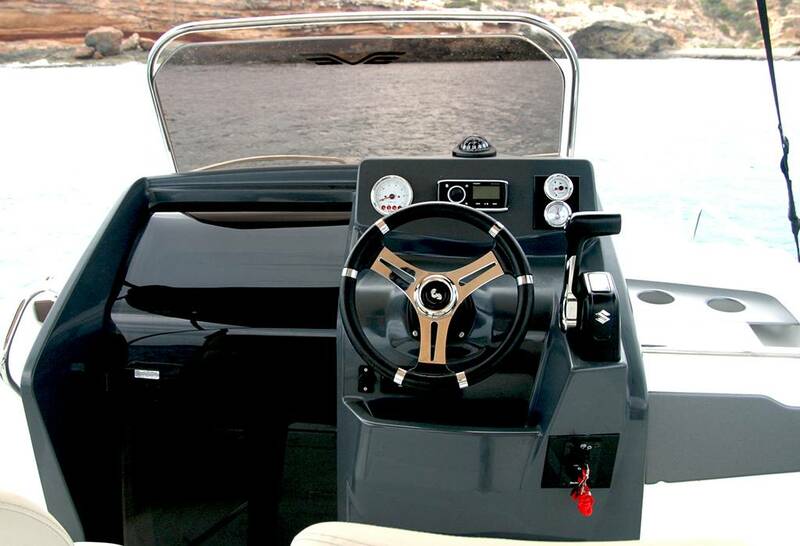 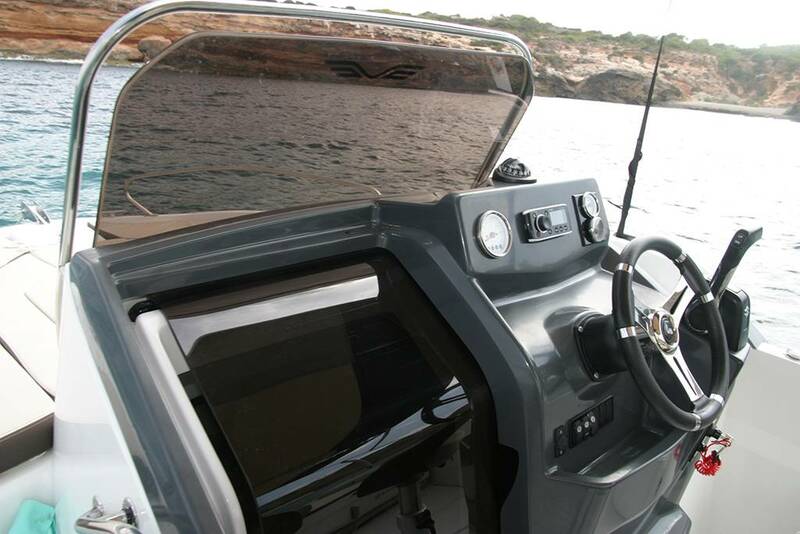 Endowed with the latest generation of Airstep © technology, this outboard offers a unique navigational comfort.